What Exactly Is a Tulip Table? Here’s how the tulip table, one of the 20th century’s most famous designs, came to be. Here's how one of the 20th century's most famous designs came to be. Anyone who has jammed a finger between chair and table legs, accidentally scooted into their neighbor's knees, or struggled to fit all the empty chairs under a dining table understands the very common design dilemma that is ill-paired dining tables and chairs. 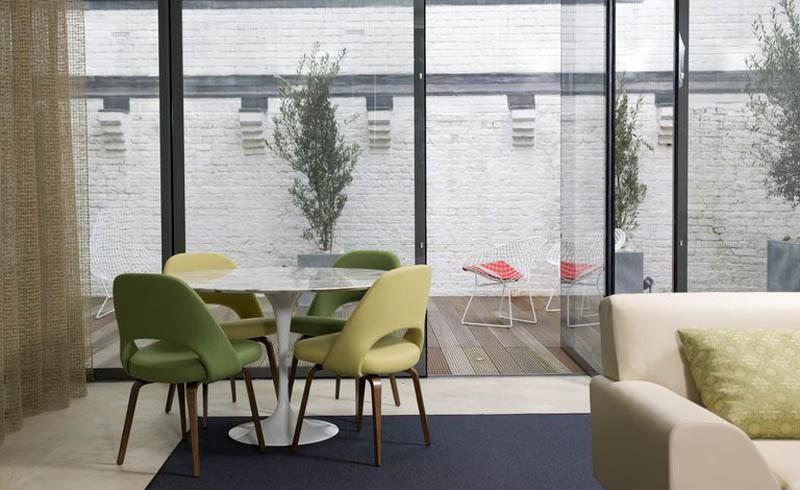 Half a century ago, architect and industrial designer Eero Saarinen didn't just recognize this problem—he fixed it with his famous collection of pedestal tables and chairs, renowned for their tulip shape. Saarinen, who was part of the Modernist movement, was inspired to create this design by a desire for simpler furniture. He said: "The undercarriage of chairs and tables in a typical interior makes an ugly, confusing, unrestful world. I wanted to clear up the slum of legs. I wanted to make the chair all one thing again." The result was a wide, round, flat base that quickly tapered into a "stem" of sorts that served as the only leg for this collection of tables and chairs. His pedestal tables (which came in dining, coffee, and side sizes) were topped with thin, round or oval surfaces wider than their base. The coordinating chair design was called the Tulip Chair because of the flower-like shell shape of the seat, but the moniker caught on for all the pieces in the collection. 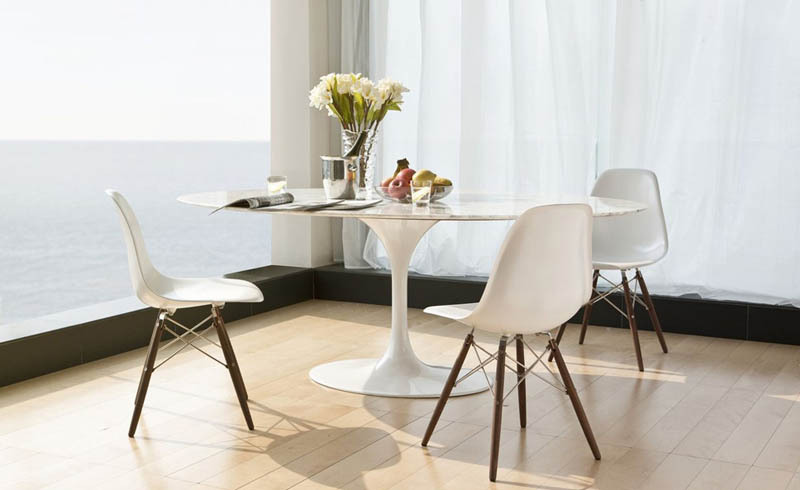 The slim footprint of the pedestal table makes it an ingenious addition to any dining room or eat-in kitchen. When paired with more traditional, four-legged chairs or even a sofa or banquette bench seat, the pedestal table's sleek design keeps things from getting too crowded under the table. And even though the design is quite striking on its own, the table doesn't take up a lot of visual space, and therefore allows the modern shape to seamlessly blend with more traditional aesthetics. Saarinen's pedestal collection was an instant hit, and is regarded as one of the most significant furniture designs of the 20th century. So much so that an original by Knoll, the furniture company that Saarinen designed the collection for, will cost you no less than $2,000. Add $1,000 for a marble tabletop and expect to pay over $5,000 for a larger, oval-shaped dining table. Thanks to modern manufacturing techniques that simplify the construction of such a piece in cheaper materials, now more quality reproductions are readily available. Below are a few options that range from the affordable to more investment-worthy. Lifestyle Magazine: What Exactly Is a Tulip Table?